"The room has always been nice." Have a question for Darunday Manor? "A unique cultural experience, more than worth the time." "My family ang I (group of 10) went here for the Holyweek and everyone was just great and friendly, love it here!" "I love to stay here." Centrally located in the city of Tagbilaran in Bohol, this hotel is only 15 minutes from Tagbilaran Airport. Guests will have easy to a number of the area’s attractions. Boasting well-appointed guestrooms and suites, all are tastefully furnished and equipped with standard amenities, including an air conditioner and a private bathroom with hot and cold shower. Guests can dine at the on-site café that serves delicious organic Boholano food. Offering a standard accommodation with friendly services, Darunday Manor is an ideal place during an unforgettable trip. "Excellent location, walking distance to St. Joseph the Worke..."
Attended a church wedding at St. Joseph Cathedral and it was the perfect place for me. The location is very ideal because it's accessible to places I needed to be near to (church, mall, coffee shop, convenient store, etc); and the staff is friendly. Overall, very satisfactory. The only functional negative I could find is that there is no elevator. At my age, an elevator would be helpful. Room ceiling could have used some retouching. However, room floor, bedding, and walls were clean. Location is extremely good. By Rizal Plaza, cathedral, and near downtown malls. Only locationally-negative I can identify was specific to May 1, the feast day of the patron saint of Tagbilaran, St. Joseph the worker. Afternoon street was blocked by groups practicing and assembling for the parade/procession past the cathedral. I watched the procession. As each dance group passed the cathedral, they nelt. A loud male voice (obviouly amplified) from the cathdral chanted a Gregorian chant. A unique cultural experience, more than worth the time. 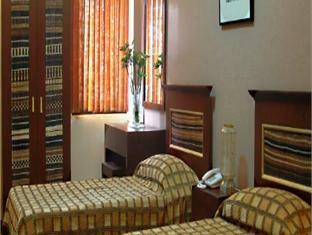 The hotel is well-located in the city center, walking distance to malls and the City Hall. The room is big enough, the air-con is super cool however, at Room 5 where we stayed, the faucet in the washtub does not have water. The staff are okay, manned by what seemed to me as sisters or relatives. Over-all, the place is recommended for a short-term stay at Tagbilaran city. Walking distance to eating places. Easy access to Island City Mall by Trike. Friendly staff for directions and transport questions. Resto only serves breakfast. Room not cleaned daily, had to ask for tissue, empty trash, and towels. Good quality room, biggest problem was that the shutter window lets in all the road noise, it's practically like there is no window at all despite the fact I was on the 3rd floor. If they could solve this problem and make the curtain more light blocking then the room would be far more comfortable to sleep in. Accessible to church,shops and public transport. Clean, feels like home with water despenser for cold&hot drinking water.Friendly and helpful staff. Value for money just enough. Overall stay was good but would have been great if wifi was not that slow. This was a perfect backpacker hotel, for a given price and standards. The staff where friendly. The room where clean, the bed where clean and comfortable. The wife workd well and there where no particular uncomfortable smell in the room. All in all a comfortable and happy. I have been staying here on my trips to Tagbilaran since 2013. The room has always been nice. Never had any issues. Some street noise if your staying on the street side but its not too bad. Will continue to stay here anytime I'm in town. Internet is good. Excellent location, walking distance to St. Joseph the Worker Parish and a small park where you can have photos with flocks of dove. We have free soap and tissue for our room on the second floor, room no. 4. Water heater and ac works well, we had a good night sleep after a whole day of roaming around. There is a television set, though not flat screen at least have a cable connection. Almost ok, except for few buzzing mosquitoes that keeps on biting us once a while and a solo roach who passed by while we were watching tv but never shows up again. They have a 130 set continetal meal only that nothing else on the menu. 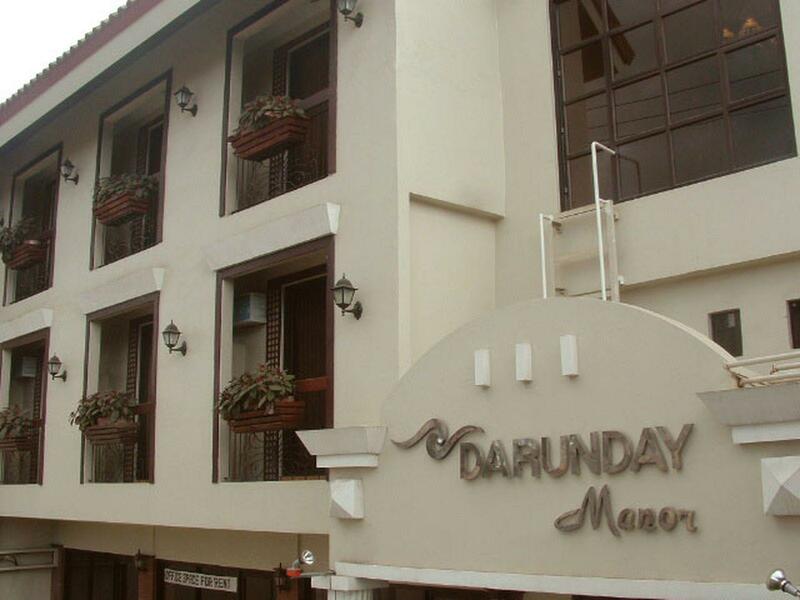 I will still consider staying on Darunday Manor depending on what my itention is in visiting Tagbiliran City. I like the place because it has a parking area (Most city center hotels have no parking area). I was able to rent a self driven car for a whole day cost Php1.5k only excluding gas. Very convenient touring Chocolate Hills / Panglao etc. etc. If you are a group of 5, best you rent a car than getting a tour service. In addition, you get to control your site seeing time. Rooms are really dated (80's Style Rooms as well as a boxed type TV with very poor reception) Our Room was clean enough if you are not a picky traveler. Internet is really FAST!!! Was able to do work without any issues at all. The staffs are all great!!! Note: Sit Down Breakfast is Php 120.00 (Rice + Longanisa + Coffee). feeling at home during my stay . Bath towels are old and worn out, proper blankets are not provided, air conditioning unit is old and the room smells musky as the unit is not dehumidifying the air and also its fan is noisy, toilet was not flushing properly, not enough hot water. Breakfast is not available. No elevator to the third floor. Wardrobe smells musky so I would not dare using. We stayed here just for overnight after we checked out from our hotel in Panglao Island, so that we can walk around the city. I can say that this hotel is okay for an overnight stay that will give you comfortable sleep. We didn’t avail of the breakfast though. 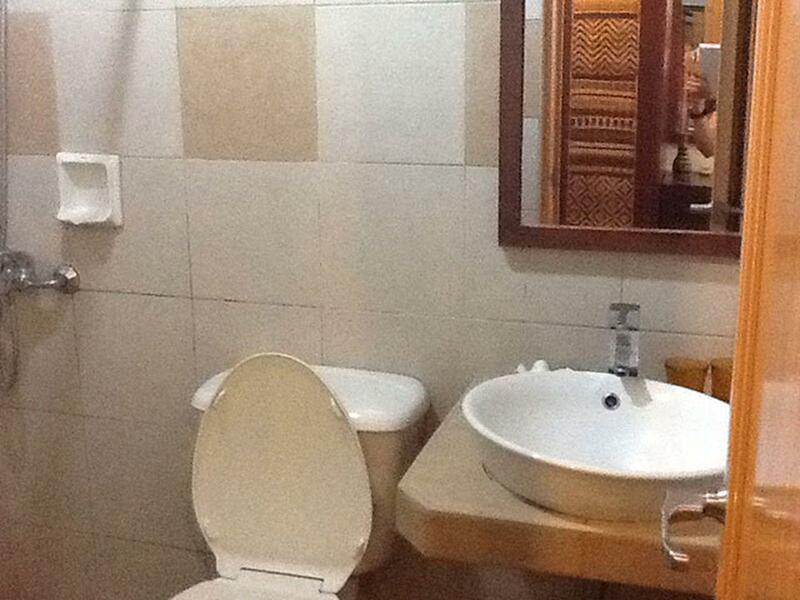 Bathroom is quite small and the cabinet smells bad that we did not use. The rooms are good especially my room because it has a terrrace and a blackout curtain that can make my room dark at day time. One thing I don't like is the blanket because it is so thin and it didn't keep me warm during my sleep. If only I had a thick cotton blanket at that time, I could have a good night sleep. But all in all, it was good. clean room and cr. hot and cold shower. Quiet place. Place was around 15 minutes away by tricycle from the airport. It's also 15 minutes away from the terminal from where you can get buses/vans to other parts of Bohol. Just 2 corners away from places to eat, and banks. Room was satisfactory, as we only needed clean beds, a shower, and a place to secure our belongings. Perfect place to stay if you need a base to see more of Bohol than just Panglao. Very simple and basic accommodations but great value. Good location with some shops and restaurants around. One lady at reception was amazing and very kind to us. All of our needs were met. Would have been even better if we were able to order food at any time of day. I love this place, we stayed here for one night only, my mom and I. My mom was very happy because the bed was big enough for the two of us. This is only walking distance to the malls and some tourist spot like the City library. So we were able to tour a lil bit. Its a good place. 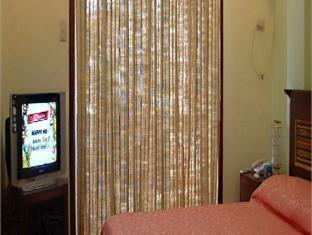 no amenities tho but its ok.
My mom and I stayed here for 3 days recently. We had a great stay, although I didn't realize the place didn't have an elevator when we booked it, which was not a big deal for me but my mom sometimes has trouble with her knees so she didn't really like haven't to go up stairs to our room. The food in the breakfast cafe is a bit overpriced, I felt, but it was pretty good food. It is only included in your stay if you book on their website, though; booking through agoda and you have to pay for it. Which I thought kinda sucked. It's really close to some places to eat, and also the Pier (if you're arriving on the ferry from Cebu) or the airport (if flying in). The worst part of our stay I guess would be the lumpy pillows (not very comfy) and the rooster outside that woke us up at 5am every day! But the room itself was very clean and nice beds, bathroom was nice enough though a bit small. Staff was very friendly and helpful.